Well our little WildStar guild Adventurers Anonymous is still kicking AND it just turned 4 weeks old yesterday. I barely managed to make the head start cut off in founding the guild. What can I say? I am a slacker after all. Anyway it’s not like that’s a big deal. What is a big deal is that the guild is still active and that we have a core group of really cool folks. That’s something there’s no achievement for, but to me it makes wanting to log in to see what folks are up to a whole lot more compelling. Even in the days of dungeon finder, we’re still doing things together as a guild. World Bosses are one prime example. We had 4 folks from the guild assisting in taking on Metal Maw Prime out in Whitevale (which isn’t bad for us since a lot of our crew isn’t up to that level yet). We had 7 guild members working to take down Metal Maw in Deradune with a few folks in the zone jumping in to help out. We also had 7 guild members working at taking down that really annoying Stemdragon in Ellesar. For that one we only had a couple other people drop in to help out, but hey the more the merrier! Crafting wise we’re pushing right along as well. We have at least one expert outfitter. We have an avid Architect that makes us all kinds of killer decor. We have a dedicated Technologist working on not only unlocking the whole Technologist tree, but also scouring the game for every quest he can find. We have at least one Weaponsmith who’s also an avid grinder. Nothing wrong with that in my book. We also have a lot of folks that fell into crafting and now just can’t get back out of it. Myself included. So far it seems like we’re not your average guild. Let’s put it this way we make a raid group to go and hunt down illusive Data Cubes and books that you need an Explorer to get your hands on. Then we wander off to kill a world boss. Personally, I wouldn’t have it any other way. To me it’s really gratifying to see folks work together to experience as much of the game as they can. So guys and Gals, the latest info on the Strain Uldtradrop covers the sweet, sweet loot you’ll be able to get your hands on when you delve into the new Strain Ultradrop content slated for release the beginning of next month. Ready for a teensy bit of hype? Well head on over to the Strain Uldtradrop page and take a look at what’s in store, or get a quick rundown below. Looking for some ghastly Decor? Well you’ve seen nothing yet. How about blinking eyes and Strain Spawners. No joke. What about new plugs? Oh my yes! How about a gaping maw on your plot that looks like a pupletastic version of the thing that ate Boba Fett? Love that Strain look and want to rock it in your wardrobe. Yeah, they’ll have you covered. Literally. Can’t find just the right blue, well guess what, here’s another three hues coming right at you! Cheer and dance not enough for you? How about something busting out of your chest Aliens style. It’s not a bug, it’s a feature. A new biggie in my book of course, a new Strain themed hoverboard. Float over everything in Strain style with your own infected hoverboard. Also new strain themed mount flair. Pimp out your ride with a little infectious love. Check this all out on the PTR! Remember to hit up the PTR tomorrow (June 27), if you want to have a hands on with the devs. Keep in mind you had to have a level 50 on or before June 12 to participate currently, but I’m sure they’ll be streaming for the rest of us. OK so I know a lot of people aren’t crafting in WildStar because let’s face it, it’s incredibly expensive and hey shiny mount anyone? Thing is though Armor crafting can help you get gear that helps you maximize your DPS or Support power. By letting you slap on the right stats for your class. You even have a chance for your crafted items to come out of the hopper with a rune slot for additional customization. Also unlocking Expert crafting is actually pretty beneficial. Not only can you craft higher tier stuff, but you can add stats to gear that you don’t have access to until you reach Expert level. So if this has convinced you to get in some crafting, there are some things to keep in mind if you want to maximize your crafting potential. Crafting dailies actually help, you’ll need the vouchers to unlock the Expert Research Guides from the vendor merchants. Doing the dailies in the different locations for your faction helps you unlock more talent points. More talent points helps your crafting by things like giving more experience, increasing the frequency of rune slots, increasing capacitor values and/or reducing materials cost. You might want to be careful how you choose your talent points, it requires crafting vouchers to reset them. So if you’re saving up your crafting vouchers for Expert Research, you may not want to blow them on resetting your talents. Currently I’m working up to be able to unlock the the reductions on Sacred Leather or Tech Leather required when working with the Expert Research Guides for the Expert Research crafting. I still have a few dailies to go before I can get my hands on my first guide, but I’m excited to have the challenge to do so. It gives me post 50 goals in the game while helping my guild work on theirs. Crafting will not only give me handy access to some nice level 50 gear to run around with, but having more and more Outfitter unlocks has already helped out my guild. I’ve been able to produce some pretty sweet armor for guildmates, from a support set to our intrepid dungeon runner Cassadius, a tanking upgrade for Brutesquad and a DPS set to help Skeeva pump out some damage. 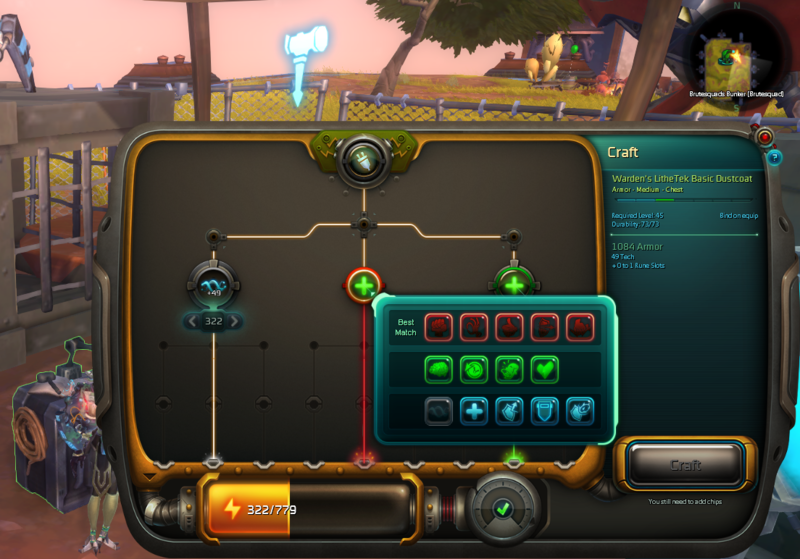 Safe to say that crafting in WildStar isn’t just a gold sink. It’s pretty beneficial to get gear that has just the stats you need to maximize your potential. Especially while leveling since the quest rewards can sometimes not meet the needs of your class. Anywho, until next time I’ll be getting a drink at the Adventurers Anonymous guild house/pub. Have fun out there! Little pink Spellslinger? Why not? 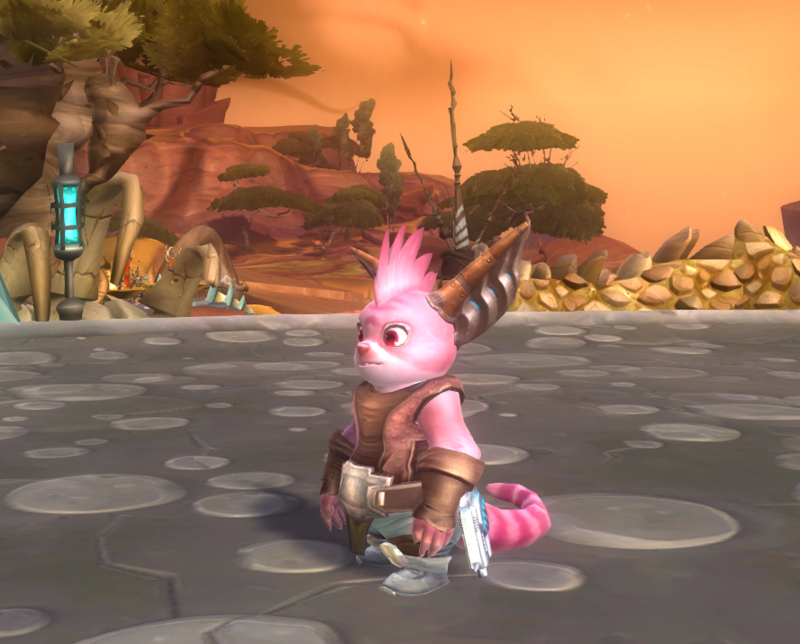 I managed to get some Wildstar time in today and finally pushed one toon up to level 14. Sadly, it was on the Exile side. It was worth slumming it for a bit though since I got the chance to see a lot more Spellslinger skills and I was able to get answers to some pricing questions I’ve had on some in game services and items such as homes, guild creation and mounts. I also messed around with the costume system, but I’m going to put that in a different post. The realms list was also announced today, so if you haven’t picked your Nexus home, now is a good time to start taking a look (realms list forum post). Now down to the brass tacks, or however that phrase goes. MMO’s like to mirror reality and in doing so like to have their own form of economy. TLDR they make you pay for stuff. So with that in mind I wanted to know about how much shiny coins I was going to have to keep a white knuckle grip on while leveling so that I’d have enough once those all important MMO life events roll around. You know the ones, getting your first mount, staking out your property, that one time you accidentally ran into those two people emoting making out in local (shudders). No wait, that one didn’t cost anything, at least not for me. Anywho, after searching around here’s what I came up with. Keep in mind that these costs can change at a moment’s notice if the developers feel like they need to change. I’ll try to keep tabs on these amounts after launch just to make sure things haven’t changed too much from Ops Week to Launch. But I’m going to be playing too, so bear that in mind. But as far as I know, as of right now (pre launch) this is about where these sit. At the level you can start a guild (which is pretty low, under level 14) you might need some help getting this cash together. That is unless you’re an auction house wiz or you have some mates willing to pool in the cash to get things up and running. As long as you aren’t the one doing the running (with the gold) things should go pretty smoothly. You’ll get a notice before level 14 that you can form a guild, but you might as well wait until level 14 to start it up and get some questing in. At 14 you get quests that send you to the main city to do more quests and to start the housing quest chain, SO completing the zones you’re in and getting those last few levels means you don’t have to back track once you have the guild squared away. TLDR it’s worth the wait. Also, if you’re not super worried about getting your house right off the bat, and your friends aren’t super worried about getting a guild started ASAP, you can always wait until level 15 when you’re able to purchase mounts. Then you can just get everything done in one go and then head back out to do whatevs, (mostly questing your keister off until dungeons unless you’re the PvP type). The interesting and almost creep people at Protostar (a company in Wildstar) will give you your own little chunk of sky land for free. The catch is that if you want to put a house on it, you’ll want to bring some scratch which is where the 1 gold comes in handy. If you pre-ordered you’ll get the rocket house, so that’ll save you the one gold. It may not be completely free to place the rocket house though so just to be on the safe side, make sure you have a little extra coin. Since my pre-order bonus didn’t kick in for the ship I wasn’t able to test placing it today. So I can’t make an absolute comment on it, but I don’t want to tell you it’s 100% free just to have that come back and bite my in the arse. While housing isn’t required, keep in mind that housing in Wildstar actually serves a purpose since it offers you a daily buff and serves as your rest xp. This is pretty much why everyone’s able to get at least their own floating dirt ball. Also, the more you trick out your pad, the more rest xp you’ll get when you log out at home. That and you can add some resource gathering nodes, crafting benches, and even set up your own skate park. 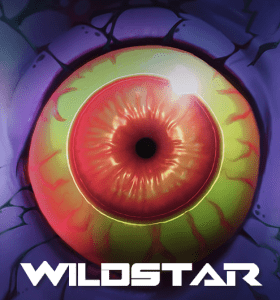 It’s yours, so go nuts, it’s Wildstar. Keep in mind though that you may want to wait to go balls to the walls on your housing decor until after you’ve at least picked up your level 15 mount or you may be grinding some gold at the last minute to not be the one person that doesn’t have their mount. This is for the standard mount, some four legged beasties and a hoverbike. You have to wait for the hoverboard until level 25 and that’s going to cost more. Though if you picked up the Deluxe Edition Pre-Order copy of Wildstar, you’ll be able to use your Eldan Themed hoverboard at that level. If nothing else that gives you ten levels to work on building up a skate park in your sweet new house. Disclaimer: You gotta buy your skills. None of this includes costs for your skills and I’m not going to list all of those prices out. One thing to think about though is that you don’t have to buy them all up as your leveling, you can just purchase skills you’re sure to use, and then pick up the rest later. If you’re going to be DPS, grab any DPS skill that look awesome. Don’t forget to keep your eye on your utility skills though. Having at least one interrupt on your bar can be a life saver. Support oriented people like Tanks and Healers may end up spending a tad more if they want to get their support skills before heading into doing group content. That is if they are using DPS skills outside of group content, and then swapping back to support a group. In Wildstar you can actually change out your Action Bar (the skill buttons) and your Amps (kinda like talent trees) while you’re out in the world and out of combat. Changing your Amps costs coin though. It’s not exorbitant, but if you have to do it a lot, it’ll probably start to add up. At least until you can get your second action set. That’s all I have for now on the money side. I still need to get in a post about how the costume system works at the moment, but that’ll come later. IGN has a list of the currently hyped MMO’s folks are waiting for. The list includes highly anticpated MMO’s such as Wildstar, Elder Scrolls Online, and EverQuest Next. The Repopulation also gets a mention. Pretty exiting stuff for an Indy MMO. Check out the article here. Every game has music and in some games the music is better than others. No matter what the music is like in the game, I still like playing some of my own tunes on occasion. Especially when grinding out levels in MMO’s. It’s funny how now I actually associate some songs with games. I can practically set up a list of songs that I had running while playing Fallen Earth. The song in the video reminds me of Guild Wars 2 every time I listen to it now. This gem always makes me think of World of Warcraft and Free Realms. What songs do you listen to that remind you of games you’ve played in the past? Everyone loves to get a little Minecraft in now and again. For some folks though once you get a handle on the game mechanics Minecraft in Survival Mode can become a little too easy. Well that is once you get yourself established. To solve that problem, one of my Fallen Earth buddies has come up with a Minecraft Survival mod that takes Survival Mode up a notch. He thinks Survival Mode is just too easy. I can agree with that to a point, I mean once you get established you’re a-OK.
His solution for making Minecraft Survival Mode a little more challenging is to mod the game to make tools a requirement (no more punching cows for leather or trees for wood). Upping XP so you can enchant gear more easily as well as making enchant tables easier to produce (after all, you need those tools to last longer if they’re harder to make). Then downgrading the ability to obtain resources making it harder to get the things you need to get by. For the most part it sounds fascinating, I’m hoping I’ll get a chance to try it out sometime. 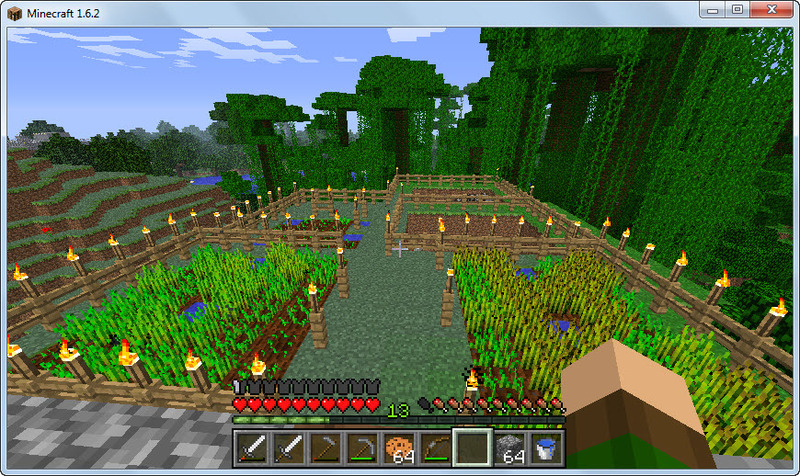 This of course is just another one of the reasons that Minecraft is awesome. There is so much you can do with the base game! The Hokfig, it’s bigger than you think. A little more information was released yesterday with an update to The Repopulation Bestiary. These 7 critters will be making Rhyldan their home and will be the wildlife players can expect to run around with when they log into the game. The Repopulation has re-vamped their website. The new website design includes a social media outlet for folks getting hyped over The Repopulation. It’s a great way for folks to connect outside of the game. It includes personal updates as well as starting up groups so clans or just groups of friends can get together and discuss. Personally I think it’s a great addition. In other news The Repopulation crew will be at PAX East this year! Anyone who is going be sure to stop in and say hi. Also, if you haven’t already, the End of January 2013 Update is posted at the website. Folks who get the e-mail newsletter will have seen this already, but feel free to check out the link if you don’t get the newsletter. Big notes in this release include changes to stealth and the addition of new devs. It’s an exciting time for The Repopulation.